HOLY CITY OF NAJAF, Iraq: Al-Arabiya reported that the holy city of Najaf, Iraq, will soon exhibit over 50 wax figures of prominent Shiite Muslim icons, poets and scholars that have influenced both history and the city's modern life. 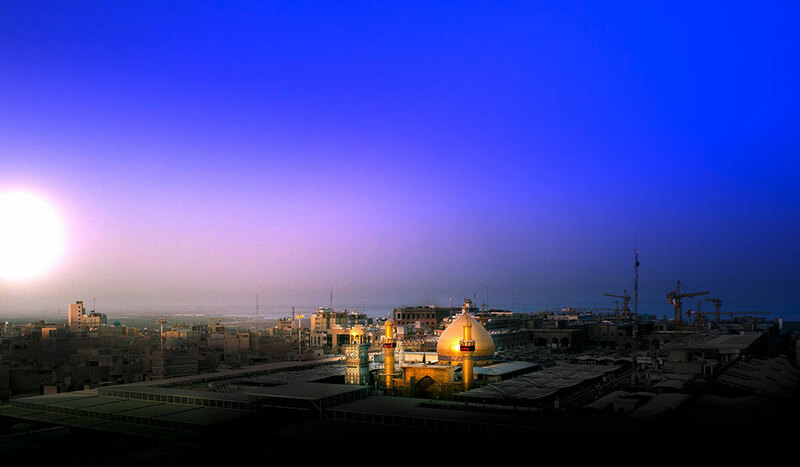 "The purpose of the exhibit is to highlight and honor the role of the distinguished men of the holy city of Najaf including scientists and academics who served Najaf in the scientific and cultural fields and also to highlight Najaf's role in Iraq and the world as a whole,” said Furqan Ali Mirza, head of Najafs Writing, Documentation and Publishing Center. The museum was inspired by a similar wax museum in Lebanon as well as the world famous Madame Tussauds, but it still manages to differentiate itself by the material used to fashion the sculptures, lending it to be strikingly lifelike. Selecting the icons was a difficult task due to the overwhelming number of candidates and a limited budget of 550 million Iraqi dinars ($447,000), Mirza said. "As a start some 300 figures were chosen because Najaf has a treasure of influential cultural figures. Then through a highly complicated and meticulous process, the number was reduced to 150 and then finally narrowed down to 59. The work was done by an Iranian company in the beginning. Until now we have received more than 10 figures out of the 59," he said. Some of the figures on display include Grand Ayatollah Mohammed Sadeq al-Sadr, Shiite scholars Mohammed Ridha al-Mudhafar and Jawad al-Shirazi. Each wax figure will be allocated its own room and accompanied by copies of the person’s work, manuscripts and photographs.